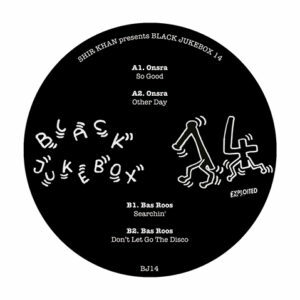 And we are back with the 11th edition of Shir Khan’s Black Jukebox Series. 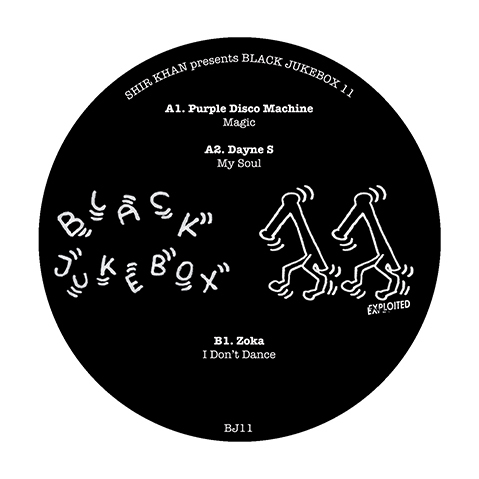 This time Shir Khan has collected 3 heavy jams from Purple Disco Machine, Dayne S and Zoka. We didn’t do any promo for this one so far but it’s available in a few good recordstores now. A1 was played by Pete Tong at BBC Radio 1 last week and it’s compilation of the week at DMC World. PDM’s “Magic” kicks off proceedings with a well know male-rap vocal collaged onto a funky shaker rhythm before “Evil Vibration” by the Mighty Ryeders gets lo-pass filtered into just bass and groove. Every so often the catchy rap hook gets fired over the top of the mix with aplomb, hitting hard and working collaboratively with the hi-pass filtered sections. Dayne S’s “My Soul” is up next, another soundsystem-ready disco-house jam which tickles the subwoofers beautifully and seems purpose built for eyes-wide-shut Summer terrace play in big outdoor spaces. Zoka brings two cuts to the B-side. “I Don’t Dance” deploys some nice warm disco drums before subtly working in some intricate guitar parts, funky b-line and sensual female vocals. Another hip-shaker to get an early evening dancefloor wiggling too. Finally, “Professional Dancer” closes off the EP with a percussion heavy workout taking in wicky-wicky guitar (official term) and heady, psychedelic elements; a loft-party future classic for sophisticated dancers everywhere. Karotte: Nice stuff. For me to play is Magic. But the other 3 are great too. Like it. Smash TV: Great house package. Till Von Sein: Magic sounds like fun. Trickski: Summe fun right here! Good time! Hector Moralez: Great EP. Dig Magic and My Soul but all tracks are nice and dope. Yannick Labbe: I Don’t Dance! 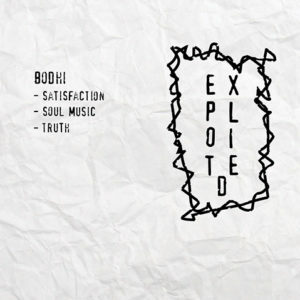 This is a prime slice of stripped down disco-music. Big love!!! Copy Paste Soul: Love this series. Will def get some plays. PJU: Very strong EP. Perfect blend of house & disco. Will support! Will Clarke: This is a nice EP. Love the track Magic. The Mekanism: Perfect for Ibiza, Villa and Girls. Gary Martin: All 4 tracks made for a good time party. Larse: Professional Lover is nice. Mickey: Hard to name a favorite. Excellent release! Kaiserdisco: Great tracks by Danye S and Purple Disco Machine. Alex Metric: My Soul is awesome! Thanks. Nils Penner: My Soul is phat! Kyodai: Purple Disco Machine is great! Death On The Balcony: Big support for these as always. Pete Herbert: Yes! Jukebox is back!